The Secret World is a unique new MMORPG (massively multiplayer online role playing game) from developer Funcom, released on the PC on July 3rd. 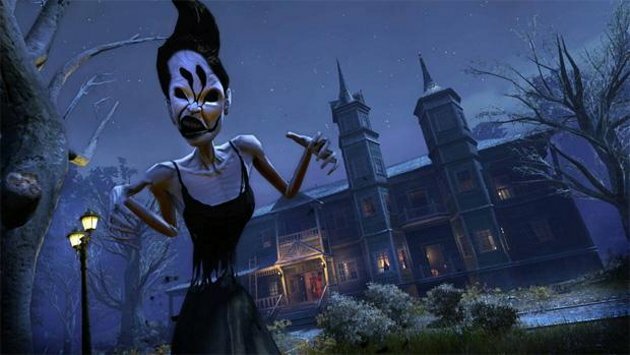 The Secret World is not a traditional MMO in the sense most gamers have come to know. The game is centered around story more than anything–a war between three warring factions, the Templars, Illuminati, and the Dragons. Each has their own uniqueness to them, from the way they dress to the stories the players follow. As you start the game you choose which faction you would like to side with. Each one starts in a different city. There are some similarities in the story between each of them, however. Templars start off in London, Illuminati in New York City, and Dragons in Seoul. As you progress through your chosen faction you will come to segments in the story that are the same across all three groups and others like the main hub cities that are unique. After you choose your faction you get to create your character, choosing from races, body types, features, and clothing. There aren’t a whole lot of choices to choose from, which leads to a lot of characters looking somewhat similar. The initial clothing options aren’t amazing either, but you will get the opportunity to buy new clothes from shops in the main hubs and throughout the story’s towns. Once you’ve finished setting up your character and watched the intro video, you will start your journey further into your chosen faction. One of the first things you get to do is play around with the weapons and choose what you would like to specialize in. You can choose from firearms such as handguns, rifles, and shotguns. 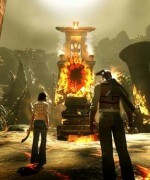 There are a few different types of magic in The Secret World, referred to as Blood, Elemental, and Chaos. And finally there are melee weapons–hammers, swords, and fists. Each is fun to use and you will have your own personal preference before long. Further progression through the game will allow you to use more than one type of weapon, which can be confusing, but can also be fun to change things up. The quests throughout the game vary in difficulty, but most provide some fun and good incentives to complete. There are the typical MMO missions where you must retrieve different items from different places and return them. However, you are usually paid pretty well for doing them, which gives you enough reason to put up with it for a little bit. Funcom threw in some Sherlock Holmes-type missions to throw the player off as well. 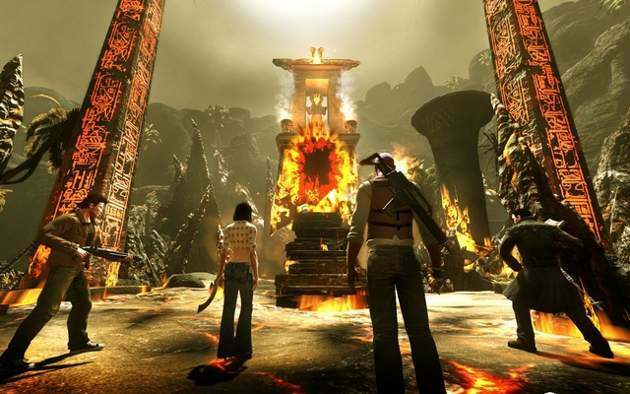 They urge you to make use of The Secret World’s built in web browser to conduct research to complete objectives, such as finding computer passwords. Enemies in the game vary greatly, from size and shape, to their difficulty level. Each one is different and fun to fight against, and most look like they were based off some type of Cthulu mythology. 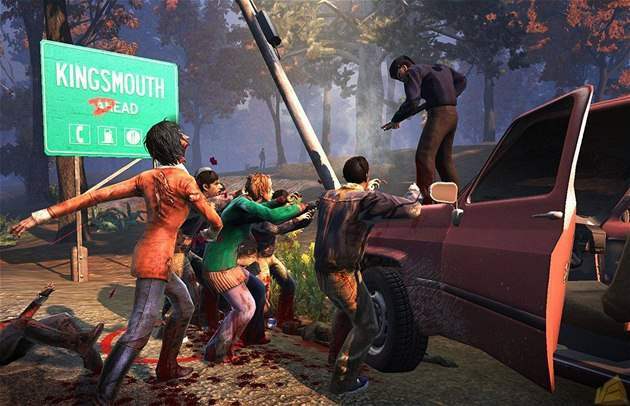 A lot of enemies can be easily taken out by players on their own, but some were made for parties to take on. These can be quite difficult if you prefer to play on your own. The Secret World’s graphics have almost a darkly cartoonish feel to them; the scenery looks amazing in most places. Some can feel a little repetitive and boring, though those parts don’t last long enough for boredom to really set in. Audio in The Secret World could be a little better, especially during combat. Most sounds are replayed over and over with almost no unique weapon sounds. The music has a nice feel to it, however, and it sets the mood quite well. 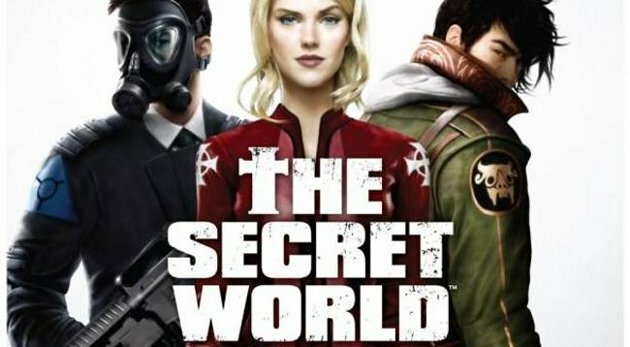 All in all The Secret World is a great game, but it feels more like a free-to-play than a monthly fee type of experience. An in-game store could suit The Secret World quite well if you feel like putting more money into it than the cost of the disc. If you already subscribe to an MMORPG that you love then there is no real reason to switch, but all the same I would recommend giving the game a try. Nice review! I’ve never had much incentive to play MMORPG’s myself. I’m more of a single player kind of guy. I mostly do single player as well but this looked really good so I thought I would give it a try, next thing I know I’m preordering it at Gamestop, those guy are like wizards always getting you to preorder something. Haha that’s because the pre-order bonuses sound so awesome!